Delarue, F., Robert, F., Sugitani, K., Tartèse, R., Duhamel, R., Derenne, S. (2018) Nitrogen isotope signatures of microfossils suggest aerobic metabolism 3.0 Gyr ago. Geochem. Persp. Let. 7, 32–36. There is compelling evidence for early oxygenation of mid-Archean oceans. However, the biological use of molecular oxygen is still not ascertained. Here we report the nitrogen isotope composition measured in isolated microfossils (δ15Nµm) from the 3.0 billion years old Farrel Quartzite metasediments. We show that the quasi-null bulk δ15N values of Farrel Quartzite organic matter encompass a large 15N isotopic heterogeneity at the scale of isolated microfossils (-21.6 ‰ < δ15Nµm < +30.7 ‰). Rayleigh fractionation is required to yield such large δ15N variations. Based on these data, we propose a model in which negative δ15Nµm values determined on film-like and on spheroidal microfossils are explained by ammonia assimilation in the anoxic deeper levels of the water column, whereas positive δ15Nµm values determined on lenticular microfossils were driven by both ammonia assimilation and aerobic oxidation close to the sea surface. Since ammonium aerobic oxidation requires the presence of free molecular O2 within the water column, we further suggest that positive δ15Nµm values reflect an ocean redox stratification tightly related to O2 production by oxygenic photosynthesisers in a mid-Archean ocean 3.0 Gyr ago. Figure 1 Nitrogen isotopic composition of amorphous carbonaceous matter, and of spheroidal, film-like and lenticular-like microfossils from the 3.0 Ga Farrel Quartzite formation. δ15NBulk values are provided for comparison with δ15Nµm values. Figure 2 Cartoon illustrating the sedimentary conditions of the Farrel Quartzite formation. The blue gradient in the water column indicates change in NH4+ concentration from high (dark) to low (light) concentrations in anoxic zones. δ15Nµm values determined at the scale of individual microfossil and organic particle are represented by orange diamonds. In the proposed model, negative δ15Nµm values reflect assimilation of NH4+ from benthic efflux whereas positive δ15Nµm values reflect 15N Rayleigh distillation of NH4+ upward through ammonia oxidation when NH4+ concentrations were too low to allow the isotopic fractionation of ammonia assimilation to be expressed (see main text). Beaumont, V., Robert, F. (1999) Nitrogen isotope ratios of kerogens in Precambrian cherts: a record of the evolution of atmosphere chemistry? Precambrian Research 96, 63-82. Pinti, D.L., Hashizume, K., Matsuda, J. (2001) Nitrogen and argon signatures in 3.8 to 2.8 Ga metasediments: Clues on the chemical state of the Archean ocean and the deep biosphere. Geochimica et Cosmochimica Acta 65, 2301-2315. Thomazo, C., Ader, M., Philippot, P. (2011) Extreme 15N-enrichments in 2.72-Gyr-old sediments: evidence for a turning point in the nitrogen cycle. Geobiology 9, 107-120. Stueken, E.E., Buick, R., Guy, B.M., Koehler, M.C. (2015a) Isotopic evidence for biological nitrogen fixation by molybdenum-nitrogenase from 3.2 Gyr. Nature 520, 666-669. Sigman, D.M., Karsh, K.L., Casciotti, K.L. (2009) Nitrogen isotopes in the ocean. In: Steele J.H., Thorpe, S.A., Turekian, K.K. (Eds.) Encyclopedia of Ocean Sciences. Academic Press, Oxford, 40-54. Shen, Y., Pinti, D.L., Hashizume, K. (2006) Biogeochemical cycles of sulfur and nitrogen in the archean ocean and atmosphere. Archean Geodynamics and Environments 164, 305-320. Garvin, J., Buick, R., Anbar, A.D., Arnold, G.L., Kaufman, A.J. (2009) Isotopic Evidence for an Aerobic Nitrogen Cycle in the Latest Archean. Science 323, 1045-1048. Godfrey, L.V., Falkowski, P.G. 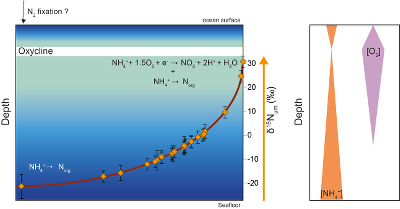 (2009) The cycling and redox state of nitrogen in the Archaean ocean. Nature Geoscience 2, 725-729. Anbar, A.D., Duan, Y., Lyons, T.W., Arnold, G.L., Kendall, B., Creaser, R.A., Kaufman, A.J., Gordon, G.W., Scott, C., Garvin, J., Buick, R. (2007) A whiff of oxygen before the Great Oxidation Event? Science 317, 1903-1906. Reinhard, C.T., Raiswell, R., Scott, C., Anbar, A.D., Lyons, T.W. (2009) A Late Archean Sulfidic Sea Stimulated by Early Oxidative Weathering of the Continents. Science 326, 713-716. Stueken, E.E., Buick, R., Anbar, A.D. (2015b) Selenium isotopes support free O-2 in the latest Archean. Geology 43, 259-262. Crowe, S.A., Dossing, L.N., Beukes, N.J., Bau, M., Kruger, S.J., Frei, R., Canfield, D.E. (2013) Atmospheric oxygenation three billion years ago. Nature 501, 535-538. Lyons, T.W., Reinhard, C.T., Planavsky, N.J. (2014) The rise of oxygen in Earth's early ocean and atmosphere. Nature 506, 307-315. Planavsky, N.J., Asael, D., Hofmann, A., Reinhard, C.T., Lalonde, S.V., Knudsen, A., Wang, X.L., Ossa, F.O., Pecoits, E., Smith, A.J.B., Beukes, N.J., Bekker, A., Johnson, T.M., Konhauser, K.O., Lyons, T.W., Rouxel, O.J. (2014) Evidence for oxygenic photosynthesis half a billion years before the Great Oxidation Event. Nature Geoscience 7, 283-286. Satkoski, A.M., Beukes, N.J., Li, W.Q., Beard, B.L., Johnson, C.M. (2015) A redox-stratified ocean 3.2 billion years ago. Earth and Planetary Science Letters 430, 43-53. Sugitani, K., Grey, K., Allwood, A., Nagaoka, T., Mimura, K., Minami, M., Marshall, C.P., Van Kranendonk, M.J., Walter, M.R. (2007) Diverse microstructures from Archaean chert from the mount goldsworthy-mount grant area, pilbara craton, western australia: Microfossils, dubiofossils, or pseudofossils? Precambrian Research 158, 228-262.
) using nanoscale secondary ion mass spectrometry (NanoSIMS). ; see also Supplementary Information). In the absence of unequivocal morphological features, the other organic particles were assigned to the “amorphous carbonaceous matter” group. Grey, K., Sugitani, K. (2009) Palynology of Archean microfossils (c. 3.0 Ga) from the Mount Grant area, Pilbara Craton, Western Australia: Further evidence of biogenicity. Precambrian Research 173, 60-69. Delarue, F., Robert, F., Sugitani, K., Tartese, R., Duhamel, R., Derenne, S. (2017) Investigation of the Geochemical Preservation of ca. 3.0 Ga Permineralized and Encapsulated Microfossils by Nanoscale Secondary Ion Mass Spectrometry. Astrobiology 17, 1192-1202. ). This suggests that acid maceration does not cause any significant hydrolysis of N-bearing compounds, which would likely have homogenised the N/C atomic ratios of microfossils through the preferential degradation of chemically labile N organic compounds. Similarly, large variations in δ15Nµm are observed among the microfossils, which can only be accounted for by Rayleigh distillation. The latter cannot have occurred during the acid treatment, as N isotope exchange through Rayleigh distillation cannot take place between solids (N in microfossils) and a fluid (N dissolved organic compounds in acid solution). Therefore, it is unlikely that acid maceration induced significant modification of both N/C atomic ratios and N isotopic compositions determined at the scale of individual microfossil by NanoSIMS. The bulk nitrogen isotope composition (noted δ15NBulk) measured on Farrel Quartzite OM ranges between +0.3 ‰ and +2.2 ‰ (see Supplementary Information; n = 3; mean δ15NBulk = 1.0 ± 1.1 ‰; Fig. 1 and Table S-2). These δ15NBulk values are consistent with the average δ15N value calculated from all values determined by NanoSIMS on amorphous carbonaceous matter and microfossils isolated from the mineral matrix (δ15Nµm = -3.9 ± 11.5 ‰; n = 27; Fig. 1 and Table S-2). However, at the microscale, the δ15Nµm values measured on amorphous carbonaceous matter and microfossils vary from -21.6 ± 5.1 ‰ to +30.7 ± 2.3 ‰. Amorphous carbonaceous matter alone shows δ15Nµm values ranging between -21.6 ± 5.1 ‰ and 0.0 ± 2.5 ‰ (n = 8; Fig. 1). 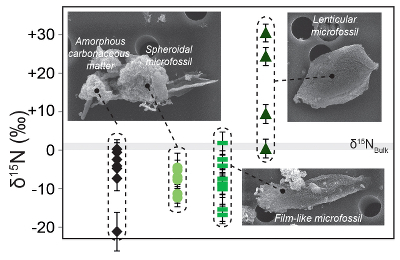 Film-like (n = 9) and spheroid-like microfossils (n = 6) exhibit mostly negative δ15Nµm values ranging from -17.2 ± 2.3 ‰ to +1.6 ± 2.9 ‰, while lenticular microfossils are characterised by positive δ15Nµm values ranging from +0.5 ± 2.4 ‰ to +30.7 ± 2.3 ‰ (n = 4; Fig. 1). Based on their nitrogen isotope composition, there is thus a clear discrimination between lenticular microfossils on the one hand and spheroid- and film-like microfossils on the other hand. The quasi-null δ15NBulk values measured on Farrel Quartzite OM hide unexpectedly large δ15Nµm variations in isolated microfossils (Fig. 1 and Table S-2). The average of δ15Nµm values is close to δ15NBulk. This observation can be explained if the bulk value integrates a diversity of organic particles with variable δ15N. Lehmann, M.F., Bernasconi, S.M., Barbieri, A., McKenzie, J.A. (2002) Preservation of organic matter and alteration of its carbon and nitrogen isotope composition during simulated and in situ early sedimentary diagenesis. Geochimica et Cosmochimica Acta 66, 3573-3584. Ader, M., Cartigny, P., Boudou, J.P., Oh, J.H., Petit, E., Javoy, M. (2006) Nitrogen isotopic evolution of carbonaceous matter during metamorphism: Methodology and preliminary results. Chemical Geology 232, 152-169.
; see Supplementary Information for further details). It thus seems unlikely that secondary processes have largely modified δ15Nµm values, which, in turn, may be linked with N metabolism(s) in the water column. Falkowski, P.G., Godfrey, L.V. (2008) Electrons, life and the evolution of Earth's oxygen cycle. Philosophical Transactions of the Royal Society B-Biological Sciences 363, 2705-2716. Hoch, M.P., Fogel, M.L., Kirchman, D.L. (1992) Isotope fractionation associated with ammonium uptake by a marine bacterium. Limnology and Oceanography 37, 1447-1459. Casciotti, K.L., Sigman, D.M., Ward, B.B. (2003) Linking diversity and stable isotope fractionation in ammonia-oxidizing bacteria. Geomicrobiology Journal 20, 335-353. Stueken, E.E., Kipp, M.A., Koehler, M.C., Buick, R. (2016) The evolution of Earth's biogeochemical nitrogen cycle. Earth-Science Reviews 160, 220-239.
; see also Supplementary Information). Coban-Yildiz, Y., Altabet, M.A., Yilmaz, A., Tugrul, S. (2006) Carbon and nitrogen isotopic ratios of suspended particulate organic matter (SPOM) in the Black Sea water column. Deep-Sea Research Part II-Topical Studies in Oceanography 53, 1875-1892. Westall, F., de Ronde, C.E.J., Southam, G., Grassineau, N., Colas, M., Cockell, C.S., Lammer, H. (2006) Implications of a 3.472-3.333 Gyr-old subaerial microbial mat from the Barberton greenstone belt, South Africa for the UV environmental conditions on the early Earth. Philosophical Transactions of the Royal Society B-Biological Sciences 361, 1857-1875. Oehler, D.Z., Robert, F., Walter, M.R., Sugitani, K., Meibom, A., Mostefaoui, S., Gibson, E.K. (2010) Diversity in the Archean Biosphere: New Insights from NanoSIMS. Astrobiology 10, 413-424. House, C.H., Oehler, D.Z., Sugitani, K., Mimura, K. (2013) Carbon isotopic analyses of ca. 3.0 Ga microstructures imply planktonic autotrophs inhabited Earth's early oceans. Geology 41, 651-654. Granger, J., Prokopenko, M.G., Sigman, D.M., Mordy, C.W., Morse, Z.M., Morales, L.V., Sambrotto, R.N., Plessen, B. (2011) Coupled nitrification-denitrification in sediment of the eastern Bering Sea shelf leads to N-15 enrichment of fixed N in shelf waters. Journal of Geophysical Research-Oceans 116. Morales, L.V., Granger, J., Chang, B.X., Prokopenko, M.G., Plessen, B., Gradinger, R., Sigman, D.M. (2014) Elevated N-15/N-14 in particulate organic matter, zooplankton, and diatom frustule-bound nitrogen in the ice-covered water column of the Bering Sea eastern shelf. Deep-Sea Research Part II-Topical Studies in Oceanography 109, 100-111. ). However, to be recorded in OM, aerobic NH4+ oxidation should have been coupled with NH4+ assimilation, leaving lenticular organic-walled microfossils enriched in 15N (Fig. 2). Wang, J.L., Yang, N. (2004) Partial nitrification under limited dissolved oxygen conditions. Process Biochemistry 39, 1223-1229. This research is supported by the ERC Grant No. 290861 – PaleoNanoLife (PI F. Robert). The National NanoSIMS Facility at the MNHN is supported by MNHN, CNRS, Region Ile de France, and Ministère de l’Enseignement supérieur et de la Recherche. Authors are grateful to Marie Balasse and Denis Fiorillo for bulk nitrogen isotopic composition analyses. 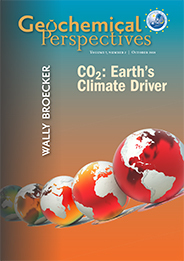 We also thank three anonymous reviewers, Eva Stueken, Liane Benning and Ariel Anbar for their insightful comments. Biomass degradation can cause δ15N variations of ca. 3-4 ‰ (Lehmann et al., 2002), while metamorphism up to greenschist facies, as underwent by the Farrel Quartzite samples, can only induce restricted δ15N modification of up to ~1 to 2 ‰ (Ader et al., 2006; see Supplementary Information for further details). This suggests that significant free O2 was present in the oceans at that time, which is also supported by several inorganic palaeoredox proxies (Anbar et al., 2007; Reinhard et al., 2009; Stueken et al., 2015b). The isotopic composition of nitrogen (N) has been investigated in order to tackle questions related to Archean life (Beaumont and Robert, 1999; Pinti et al., 2001; Thomazo et al., 2011; Stueken et al., 2015a). For instance, negative δ15N values ranging between -7 and 0 ‰ in the OM isolated from early Archean rocks (3.6 to 3.2 Ga) have been interpreted as reflecting (i) anoxic Archean oceans in which microorganisms consumed N2 and NH4+ (Beaumont and Robert, 1999) or (ii) a consumption of N2 and NH4+ by chemosynthetic bacteria flourishing close to 15N-depleted hydrothermal vents (Pinti et al., 2001; Shen et al., 2006). The late Archean era (2.8 to 2.5 Ga) is characterised by the occurrence of positive OM δ15N values (up to ca. 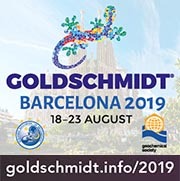 +5 ‰) presumably reflecting a rise in the abundance of oxidised N species (Beaumont and Robert, 1999; Garvin et al., 2009; Godfrey and Falkowski, 2009). The N isotope fractionations (noted ε, with ε ≈ δ15NNH4+ - δ15NProduct) associated with these processes have been determined experimentally, and range from +4 ‰ ≤ ε ≤ +27 ‰ for (i) and +14 ‰ ≤ ε ≤ +19 ‰ for (iii), respectively (Hoch et al., 1992; Casciotti et al., 2003). However, in the modern Black Sea environment, large δ15N variations ranging from negative up to positive values have been observed to be associated with chemolithoautotrophy along a spatial redox gradient that promotes the progressive oxidation of NH4+ in the deep and suboxic level of the Black Sea (Coban-Yildiz et al., 2006). In this scenario, the positive δ15Nµm values might be regarded as a redox signal as previously reported (Coban-Yildiz et al., 2006; Granger et al., 2011; Morales et al., 2014). However, complementary geochemical evidence points toward oxygenic photosynthesis occurring as early as ca. 3.0 Ga (Crowe et al., 2013; Lyons et al., 2014; Planavsky et al., 2014) and ocean redox stratification ca. 3.2 Gyr ago (Satkoski et al., 2015). Since aerobic NH4+ oxidation implies the occurrence of free dissolved molecular O2 in the water column (Wang and Yang, 2004), this finding echoes previous geochemical arguments pointing toward mid-Archean oxygen oases and, therefore, biological O2 production by oxygenic photosynthesis in stratified mid-Archean oceans (Crowe et al., 2013; Lyons et al., 2014; Planavsky et al., 2014; Satkoski et al., 2015). From a morphological point of view, previous investigations indicate that acid maceration does not affect the morphological integrity of organic-walled microfossils from the Farrel Quartzite (Grey and Sugitani, 2009; Delarue et al., 2017). From a geochemical point of view, preservation of N content is highly variable across individual microfossils isolated from the Farrel Quartzite (Delarue et al., 2017). As the NO3- concentration was negligible in Archean oceans (Falkowski and Godfrey, 2008), it is unlikely that partial conversion of NO3- into N2 occurred and gave rise to the observed δ15Nµm variations. These microfossils are interpreted as remnants of pelagic microorganisms based on both their morphology (Sugitani et al., 2007; Oehler et al., 2010) and their carbon isotope composition (House et al., 2013). In view of the δ13C (House et al., 2013) and of the present δ15N values along with morphological evidence, this proposed scenario, which combines morphological evidence with C and N isotopic data, suggests that life thrived across the entire water column down to the seafloor, and points to the early existence of aerobic metabolism 3 billion years ago. Biomass degradation can cause d15N variations of ca. 3-4 ‰ (Lehmann et al., 2002), while metamorphism up to greenschist facies, as underwent by the Farrel Quartzite samples, can only induce restricted δ15N modification of up to ~1 to 2 ‰ (Ader et al., 2006; see Supplementary Information for further details). Within the marine N cycle, N compounds are closely coupled in a redox reaction network including specific isotope fractionation processes (Sigman et al., 2009). In the N cycle, only Rayleigh fractionation has been reported to yield large variations of δ15N values through the partial consumption of NO3- or of NH4+, leaving the residual dissolved inorganic nitrogen (DIN) enriched in 15N (Sigman et al., 2009). Although early and late Archean sedimentary δ15N values suggest a progressive rise in the oxygenation level of Archean oceans, mid-Archean times (3.2 to 2.8 Ga) are characterised by a narrow range of δ15N values close to the N isotope composition of the present day atmosphere (0 ‰), suggesting the dominance of N2 fixing microorganisms (Stueken et al., 2015a). Anammox is not further considered here since its antiquity is still a controversial issue and the resulting δ15NBulk remains unknown (Stueken et al., 2016; see also Supplementary Information). Partial NH4+ assimilation can yield ε values down to -27 ‰ when NH4+ concentration is higher than 20 μM, while lower NH4+ concentrations are associated with lower ε values close to -4 ‰ (see Stueken et al., 2016 and references therein). To investigate this issue, we have characterised the N isotope composition of organic microfossils (noted δ15Nµm) isolated from the mid-Archean Farrel Quartzite formation (3.0 Ga; Sugitani et al., 2007) using nanoscale secondary ion mass spectrometry (NanoSIMS). In the acid maceration residue, we identified lenticular, spheroid- and film-like microfossils following the previously reported taxonomy (Sugitani et al., 2007; see also Supplementary Information). Thus, only the partial consumption of NH4+ seems to be an acceptable mechanism to explain the large variation in δ15Nµm values, consistent with an Archean DIN marine reservoir dominated by NH4+ (Thomazo et al., 2011). The latter are thus likely remnants of benthic microbial mats, in agreement with their morphology (Westall et al., 2006).